Photograph taken in 1959 in Stack Croft, the field that was to become Manor Way, looking down to Green's Engineers, Low Fold House and Rose Cottage (now Alister House). 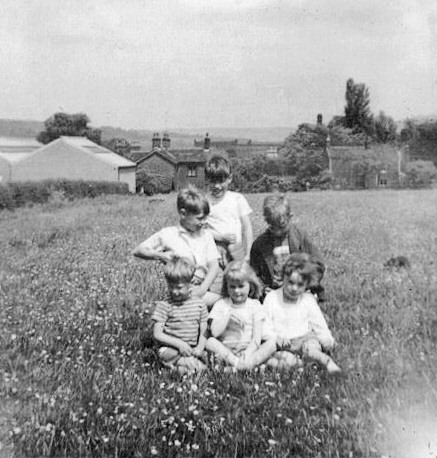 The group of children are - front left to right, David King, Felicity Longbottom and Jane Mills; rear left to right, Kevin and Keith King and Robin Longbottom. The meadow was awash with milk maids, cow slips, buttercups and other wild flowers and cut for hay by Alan Kidd and his son Brian who farmed at Rose Mount and Clough Head. Photograph taken from the roof of Rose Cottage looking across Stack Croft and Long Croft fields towards Crag Lane, with Green's Engineers just visible on the right. The footpath on the right lead up to the Acres and follows the line of the future Manor Way. 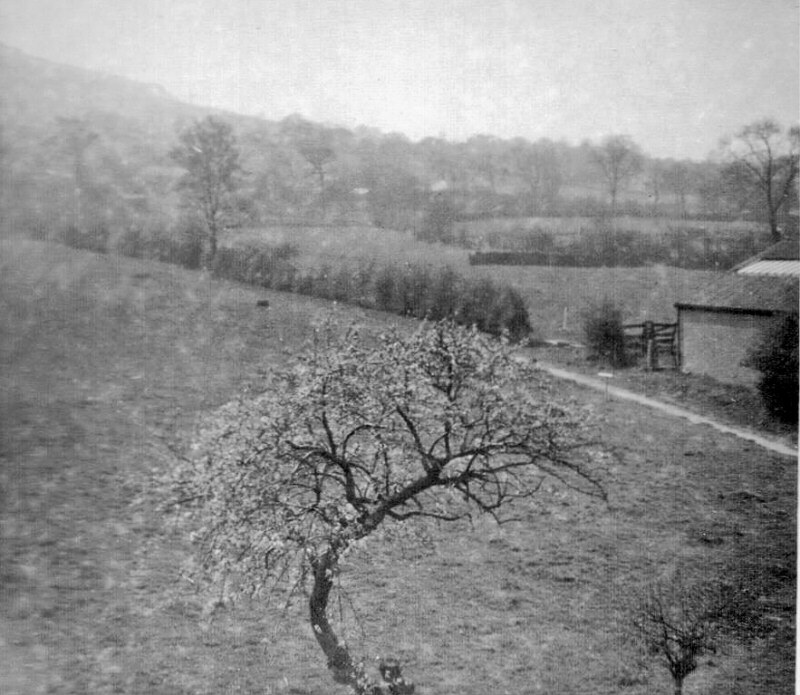 The tree in the foreground was a pear tree and a regular target for local lads scrumping Rose Cottage pears. 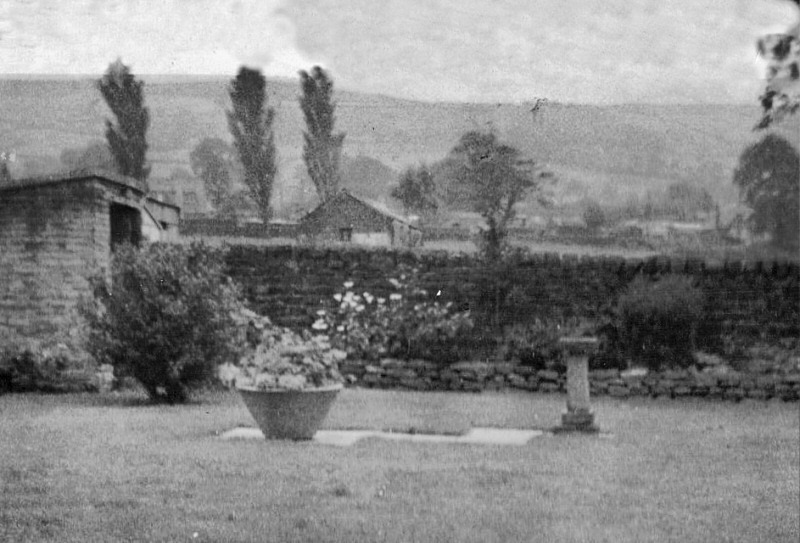 1965/6 - Looking from the rear garden of Rose Cottage (Alister House), Wimpey Homes have just marked out the bungalow plots and the road for Manor Way at Stack Croft. 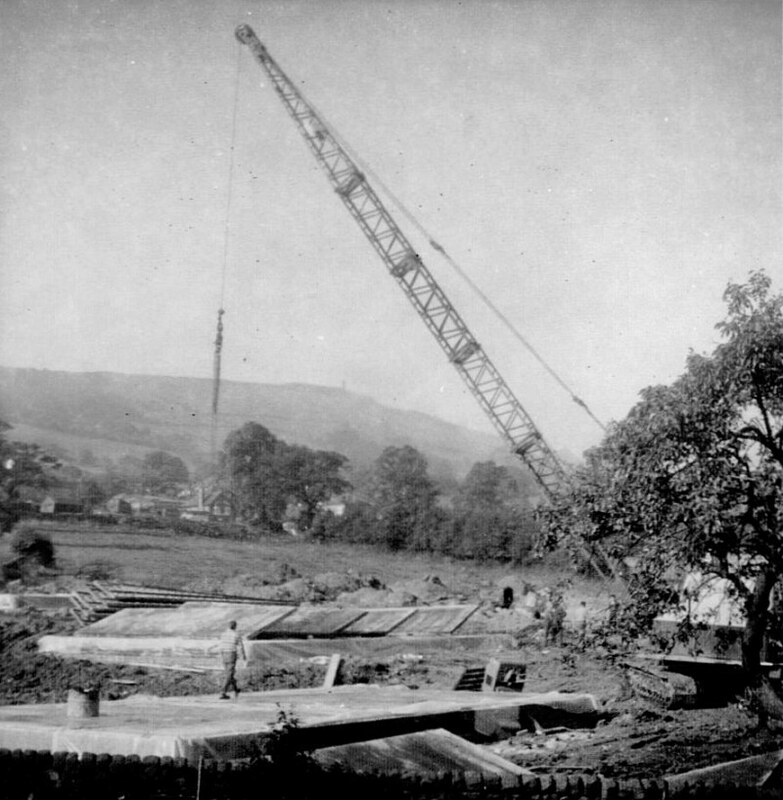 1965/6 - Foundations for the first bungalows at the rear of Rose Cottage in Stack Croft. (Prince Ratcliffe was one of the first to move in. I asked him how he liked it and he complained that there was no fireplace. When I said that it had central heating he replied, "Aye, but there's no wheear to spit". He chewed a twist tobacco called 'pigtail' that Leonard Myers at the King's Arms ordered specially for him. 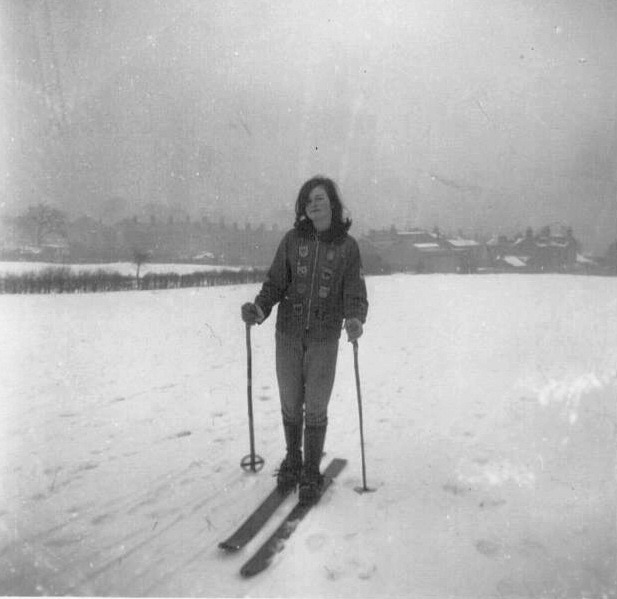 Kate Longbottom skiing in Stack Croft in winter of 1963. Green's Engineers and Low Fold House just visible to the right. 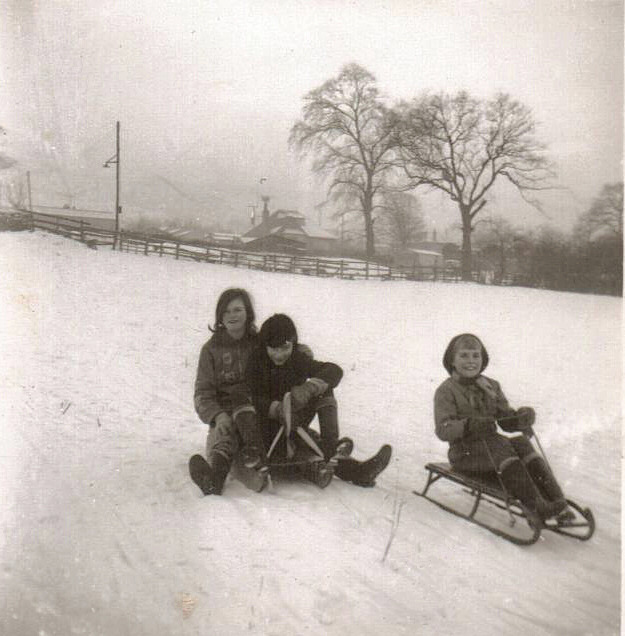 This was taken from the back garden at Rose Cottage (Alister House) looking to the Acres. The building in the centre was a barn and adjoining mistal, about half way up Stack Croft. The mistal could house about 6 beasts. Alan Kidd farmed here but when he moved to Junction in about 1961 Tim Pighills, the village butcher, kept beef cattle here. 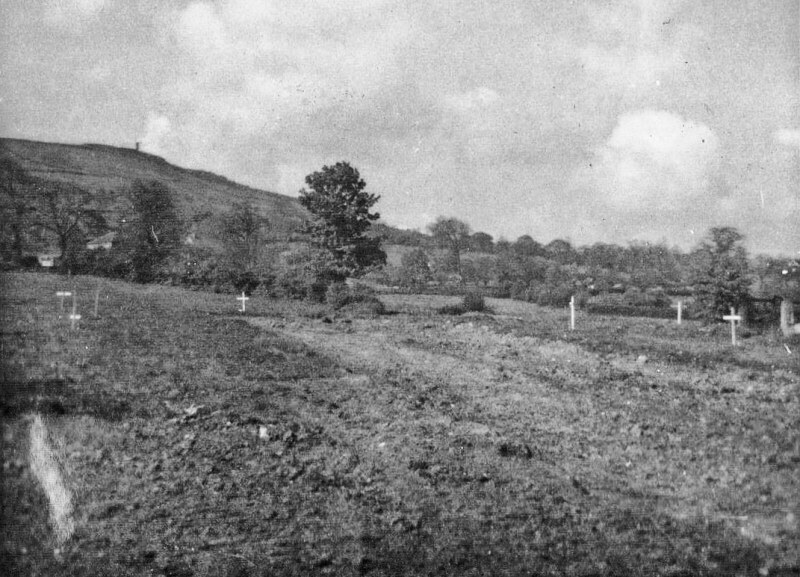 The three poplar trees are long gone as is the tree to the right of them, which was an oak.